Chemical Industry Insight: Paint Protection Film Market Size is Expected to Reach USD 369.3 Million by 2022 : Grand View Research, Inc. Paint Protection Film Market Size is Expected to Reach USD 369.3 Million by 2022 : Grand View Research, Inc. 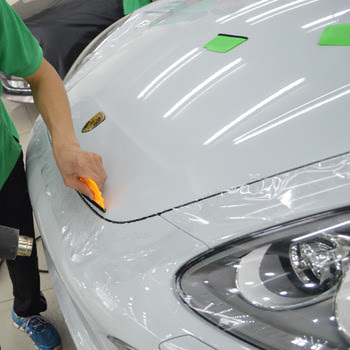 The global paint protection film market size is expected to reach USD 369.3 million by 2022, according to a new report by Grand View Research, Inc. Automotive aftermarket growth in Asia is a key growth driving factor for the industry, with China, Southeast Asia, India and Japan being major demand centers. Thermoplastic urethane films which gained prominence as surface protectors in helicopter blades have evolved gradually, over the past, to find greater usage in automotive and electronic applications. The product pioneered by companies in the U.S. has attained global acclaim for protecting surfaces against abrasion, corrosion, chipping, and wear. Globally, the industry is characterized by intense competition amongst global and small-scale companies by means of pricing and product differentiation. A key trend is the re-emergence of PPF in aerospace applications where its usage ranges from fuselage surfaces to cockpit instrumental panels, which led to companies offering specialized products for now diverse applications. From a consumer perspective, greater income disposability has led to buyers being able to decide from various paint protection products & services. Traditionally Teflon coatings were the preferred choice due to cheaper pricing and decent lifespan. However, PPF has gained prominence due to its versatility of application, that include chosen components of a vehicle or the vehicle in its entirety, and product lifespan that extends up to five years from installation.